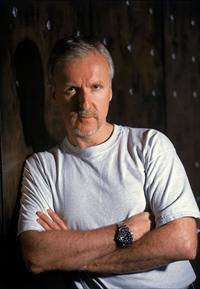 What is James Cameron’s best movie? It’s not Aliens. It’s not Terminator 2: Judgment Day. It’s not even Titanic. No, his best movie is one that he planned more than a decade before it became a reality. He had to wait until he had built a reputation for being an amazing director to get a studio to gamble on his ambitious film. Plus, the technology simply didn’t exist to tell the story the way he wanted to, so he had to invent most of it himself. No, I’m definitely not talking about Avatar. That was a silly and contrived mess. 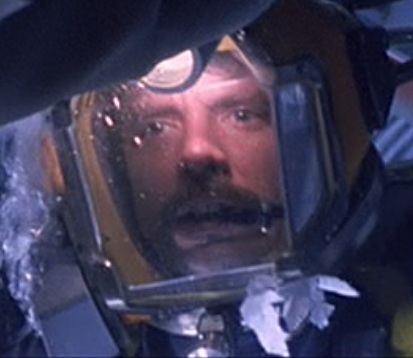 James Cameron’s best movie is, without a doubt, The Abyss. The Special Edition, in particular. You might be thinking that that is a silly thing to say because The Abyss isn’t usually considered a classic in the same way as Cameron’s other films. In addition, it is his only major box-office disappointment to date. But I really do believe that it’s his best film. Of course, anytime a person claims something is the absolute best in its category, they had better be ready to give a good explanation for saying that. And I’m ready to. So let’s peer into The Abyss and see what wonders we’ll find in it. Every good movie needs to have a good story at its core. And The Abyss definitely has that. The story begins with a U.S. submarine tracking an unknown vessel traveling at incredible speeds in the Gulf of Mexico. The vessel accidentally causes the submarine to crash, killing everyone aboard. The U.S. Navy wants to find out what happened, but a hurricane is rapidly approaching. So they procure a nearby underwater oil-drilling rig called Deep Core to handle the operation. Unfortunately, the head Navy SEAL sent down to Deep Core suffers from a pressure-induced illness that makes him paranoid. His actions become increasingly erratic after he and the other underwater explorers are cut off from the outside world by the hurricane. It doesn’t help that some of the characters begin seeing the same extra-terrestrials who caused the submarine crash. The head SEAL decides to send a nuclear bomb down an abyss to destroy the aliens at their source, but he is killed in the process. The Deep Core crew then scrambles to disarm the bomb before it destroys them and the aliens. One man sacrifices himself for the greater good, knowing he’ll never make it back from the abyss. However, after he disarms the bomb he is saved by the aliens, who turn out to be friendly. Inspired by the man’s sacrifice and his love for his wife, they decide to spare mankind, even though they could easily flood the whole earth. They decide, instead, to reveal themselves to humanity, end their wars, and usher in a new era of peace. Almost every character in The Abyss is instantly memorable and likable. The first time we see Virgil “Bud” Brigman, we think he’s an absolutely awesome guy. He’s funny, but he’s not trying too hard. He’s laid back, but he’s also in charge and he understands how to get things done. He knows each of his crew members personally, and he tailors his responses to each of them. In a crisis he gives orders, but under normal circumstances he usually asks people nicely to do tasks. Bud is married to Lindsey Brigman, a fact that has caused a lot of embarrassment and pain for both of them. Lindsey is a great character because she has a hard-nosed side that reacts defensively to everything people say, but she also has a soft side that is excited about new discoveries. Everyone else has their fun personality traits and gimmicks. Catfish De Vries with his “Hammer” fist. Alan “Hippy” Carnes with his pet rat and conspiracy theories. Lisa “One Night” Standing and her love of cowboy hats and country music. Even the villain is likable, or at least sympathetic. Great villains usually see themselves not as bad guys, but as misunderstood heroes. Think of Khan Noonian Singh’s tragic story being marooned on a barren planet by Captain Kirk for 15 years and watching everyone he loves die. In his eyes, revenge is the only logical course of action in response to the injustices heaped upon him. Lt. Coffey is a perfect villain, and I credit much of his success to actor Michael Biehn. Apparently, Biehn fought to give the character more complicated motivations by having him suffer from a rare undersea-pressure disease. That way, it’s difficult to tell how much his actions are caused by his ailment or his mind. Coffey didn’t realize the danger he was putting everyone in when he took the Flatbed submersible to the submarine to retrieve a nuclear warhead. He was following orders from his senior officer. He was probably also under orders not to tell the Deep Core crew about the warhead, which is why he shut off communication with them during the mission. He thinks he’s saving humanity by attacking the aliens. He’s willing to sacrifice the lives of everyone aboard Deep Core for what he thinks is the greater good. The decision weighs heavily on his mind, as we see him looking sad and confused as he deliberately delays his launch of the nuclear weapon. He’s actually fairly noble in his ambitions. Besides a few Soviet Union references, The Abyss could have been made yesterday. There are plenty of wars, cold and hot, happening all over the world right now. This movie presents a situation in which the American military is busily engaged in defending against an unknown threat, but most of their actions lead to disaster. And yet, this doesn’t feel like antiwar propaganda. It feels more like a celebration of the best of humanity and a cautionary tale about some of our flaws. The bulk of the story is spent in a confined space with a close-knit group of characters and a few Navy SEALs. It’s fascinating to see how they interact and try to work together. The oil workers joke around with each other to relieve tension, but the SEALs rarely talk to anyone and they just want to get the job done. Lt. Coffey is extremely distrusting of the civilians, and he’s usually openly hostile to them. But this movie isn’t about war. It’s mainly about finding peace. We see a married couple who hate each other, but they learn that they really do need each other in the end. We see marines and civilians at each other’s throats, but they have to work together to save their rig from being destroyed. We see humans and aliens threatening to utterly destroy each other, but they find a way to coexist and finally enjoy worldwide peace. This movie has a very hopeful message, which adds to its enjoyableness. James Cameron probably didn’t intend to do anything more than tell a convincing love story through Bud and Lindsey Brigman. But I’ve discovered that these two characters can actually be interpreted as an analogy for the current state of American politics. Let me explain. Bud represents hard-working conservatives who want to do their jobs with as little government interference as possible. At one point he says to the Navy commander who wants to send a team of SEALs down to oversee a delicate military operation, “You can send whoever you like down here, but when it comes to the safety of these people, there’s me and then there’s God, understand?” Lindsey represents high-minded liberals who look for peaceful solutions to problems, but are also very confrontational and loud in their opinions. She often tries to win arguments by intimidating others into silence. It gets to the point where even when she’s telling the absolute truth, people are skeptical because she’s always being a bully, and she has trouble being on the other side of the equation. I love the moment when Bud and Lindsey are having an argument and Lindsey twists a knob slightly so it sits just right, but as soon as she turns away from it, Bud twists it back to where it was. That shows the whole problem with their relationship right there. Both of them stubbornly think they know better than the other. Their marital problems finally come to a head when they’re both stuck in a crippled submersible with no power and no tools to stop a leak that’s bringing in more and more freezing ocean water. Bud has a diving suit, but Lindsey has nothing to protect her from the incoming water. Bud offers to let her have his suit, but she refuses and instead comes up with an insane plan to allow the freezing water to put her into a catatonic state so he can carry her back to Deep Core and hopefully revive her there. Against all odds, this plan works. This has a lot in common with the past and present history of the United States. Somehow in the late 18th century, a group of large states and small states, liberals and conservatives, slave owners and abolitionists put aside their differences and came together to forge the greatest nation of all time. Today, conservatives and liberals fight each other all the time, calling each other names, saying they know what’s best for the country. But they’re still proud to call themselves Americans, and they don’t want to dissolve their union for petty reasons. But recently they’ve noticed that the country is in danger of drowning in its debt. Eventually the national debt will force both sides to work out a solution. The liberals will have to use their minds to come up with a solution that, in normal circumstances, would seem crazy to them. They’ll have to allow many of their social programs to finally die and they’ll have to spend less than they take in each year. The conservatives will have to do a lot of work to get the country to a safe place where it can be revived from near-death. It will likely mean a return to the system federalism found in the Constitution where the states are empowered and the federal government is severely limited. Quite an intriguing lesson from this love story, wouldn’t you say? The Abyss is more than 20 years old, but its technology still appears cutting-edge. Seriously, the oil rig Deep Core looks like it’s something that would be used in outer space, but it also looks incredibly functional and realistic. The idea of a deep-sea oil-drilling rig is founded in reality, but apparently it’s still way too expensive for a company to even contemplate building. Sort of like an underwater Dyson Sphere. The suits, submersibles, and other machines are also dynamic and still look impressive. The liquid oxygen is, literally, breathtaking. I am dumbfounded that they actually put a rat in a container of liquid oxygen, had it breathe it in for a while, and then took it out. And it survived the ordeal and continued to live a normal, healthy life. And they did several takes with multiple rats! The stuff actually exists, but again it’s so expensive that it’s impractical for underwater explorers to actually use. The way The Abyss pulls off this amazing feat of still being technologically advanced is by grounding its technology in theoretical possibilities but practical impossibilities. Even in today’s world where there seems to be a new iPad debuting every other quarter, I doubt we’ll see technology like James Cameron envisioned in The Abyss for a long time. There are plenty of moments in this film that are utterly fantastic and yet somehow believable. An alien probe made entirely of water comes aboard Deep Core to study the human inhabitants. Bud “breathes” liquid oxygen in order to dive to levels that were previously unreachable. Bud’s wedding ring stops an automatic door from shutting and crushing his hand. Lindsey’s heart stops beating for several minutes, but she comes back to life. Aliens created their entire technology around water, even though water (as opposed to ice or steam) is extremely rare in the universe, as far as we can tell. As we watch these incredible things take place, we just accept them. James Cameron manages to create a whole different world in The Abyss, and I would argue that he did an even better job of making me believe in it than he did with Pandora in Avatar. We never even see any land until the very end of the film, and even that only lasts a few minutes. For the majority of the film, we’re pretty much stuck in a clunky little oil rig in the middle of the ocean. The claustrophobic sets, narrow hallways, flashing lights, and constant dangers make this one of the most memorable settings in movie history. And the environment is so alien compared to anything we see in our daily lives that we can absolutely accept that extraordinary things happen there. 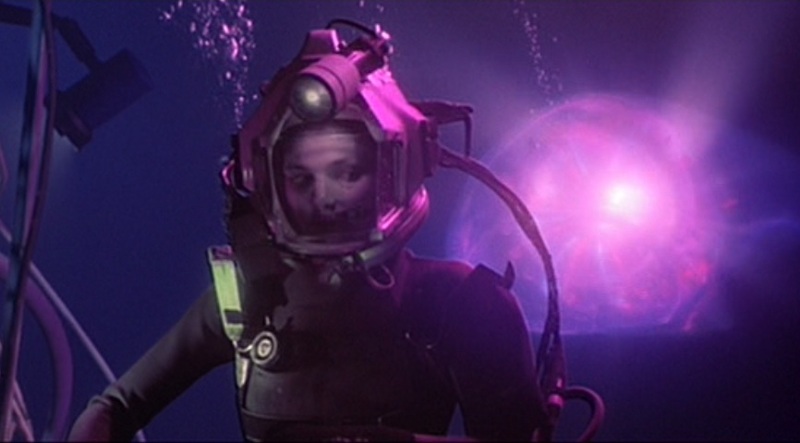 The Abyss marked the first time that computer-generated images (CGI) were used in a realistic manner. They’re used to show a water tentacle floating through Deep Core and imitating Bud’s and Lindsey’s faces. Cameron said he had a Plan B to make the story work if the CGI hadn’t been possible or if it hadn’t been completed in time for the film’s release date. I don’t know what he had planned, but thank goodness he didn’t need to fall back on it because this is one of the most memorable parts of the movie. Some people say that CGI is the death of true cinema. It has led Hollywood away from good storytelling, given people seizures, made Michael Bay a household name, and committed other crimes against humanity. But let’s face it, CGI is just a tool. In the right hands, it’s amazing. Just look at Pixar and DreamWorks films. Many of them are fantastic. Before CGI, comic-book movies were almost impossible to pull off with any believability (if filmmakers didn’t want to go spectacularly over budget, like they did with Superman: The Movie). With movies like Tron, The Abyss and Terminator 2, the world got to see the future of filmmaking. Expert filmmakers used cutting-edge technology to the fullest to tell wonderful stories. However, they inspired a lot of copycats, and pretty soon we were being bombarded by endless Transformers sequels and other soulless special-effects-heavy movies. The same thing happened after Star Wars debuted. James Cameron has a way of turning seemingly straightforward action sequences into incredible thrill rides. In Terminator 2, there’s a scene where John Connor is riding a motorcycle through Los Angeles’ viaducts, pursued by the T-1000 in a big semi-truck. And Arnold Schwarzenegger’s T-800 is in hot pursuit on his Harley Davidson motorcycle, crisscrossing the busy city streets above them. It’s just three vehicles going in the same direction. But Cameron throws in awesome twists like the T-800 iconically chambering rounds in his shotgun with just one hand and shooting gate locks with perfect precision. And the T-1000 smashing into abandoned cars and other debris in the viaduct. And, of course, the T-800’s spectacular jump into the viaduct. It all adds up to a memorable action sequence. It’s the same in The Abyss. The action sequences are few and far between, but they are so exciting and well done that you come out of the film feeling like its tension and excitement never let up. At one point Lt. Coffey is in a submersible pursuing Bud and Lindsey in their own submersible. Neither ship has any weapons, so they’re just traveling through the water at high speeds, knocking into each other and trying to put each other out of commission. But the music, editing, acting and special effects come together beautifully to create a pulse-pounding scene where we’re extremely concerned about the heroes’ survival, and we can’t wait to see what’s coming next. The Abyss is a superb message movie because it doesn’t try to push an agenda. The message of peace and goodness for humanity flows organically from the story. We see the ups and downs of Bud and Lindsey Brigman, how much they hate each other, how much they love each other, and what extraordinary lengths they’ll go to in order to help each other through anything. They are a perfect microcosm of humanity’s flaws and triumphs, and so it’s nice that they get to represent all of us to the aliens, who have only gotten to know us through the unfavorable light of our radio and video broadcasts. In the end, we don’t feel manipulated into caring about some characters’ plight or forced to learn a new perspective. We feel like we just enjoyed a solid piece of entertainment, and we feel hopeful about the future of mankind. That’s an impressive day’s work for any film, especially an action movie. James Cameron deserves a lot of praise for his dedication to making this film. From the beginning, he had to do a lot of research to make sure he got things right, from military protocol to nautical terminology. Since his story presented the Navy in a fairly negative light, he couldn’t count on a Navy representative to make sure everything was accurate. Luckily, he’s James Cameron, and he found a way to do everything perfectly. He would spend an entire day in a heavy diving suit to make sure he didn’t waste any precious time. He never asked his actors or film crew to do something he wasn’t willing to do himself. Plus, he helped design the helmets for the divers to make it possible to clearly see their faces through them. Kudos should also be given to the entire cast and crew. Every cast member had to become a certified diver and be willing to put themselves in situations that would be terrifying to anyone. Mary Elizabeth Mastrantonio’s performance when she’s drowning is so effective that I still have trouble watching that scene. It’s one of the most intense scenes in the whole movie because she really seems to be on the verge of dying, and she’s so afraid. 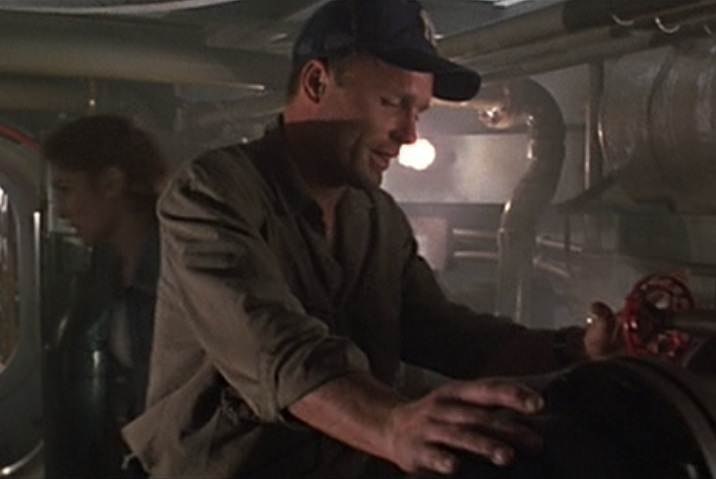 Ed Harris had the unfathomable job of pretending to be breathing liquid oxygen during long takes when he was really just holding his breath and completely at the mercy of emergency air crews around him. During one take, something went wrong and he was stuck without air for precious seconds. When the crew arrived with air for him, they put the breather up to his mouth upside down and so he couldn’t get any air from it. He panicked and thought he was going to die until another crew member realized what was happening, and he flipped the device so it would finally give Harris a breath of air. That night, Harris wept because he knew he would have to put himself back into that life-threatening situation the next day. But, being the amazing man he is, he went back and completed the daunting task. This movie might not have made any of its actors stars, but it’s definitely something they should all be proud of. Is the ending a cheat? Sort of. Bud goes down the abyss to save his crew members’ lives, he says a heartfelt goodbye to his wife, and then he waits for the inevitable end to come. But then an alien floats by, takes him by the hand and brings him to a room with an air pocket so he won’t die. Then the alien ship rises and takes Deep Core along with it to the surface. Deep Core was almost out of oxygen, and their situation was desperate before the aliens came along. Going up from such a huge depth should have killed everyone aboard Deep Core, but they’re all just fine because the aliens did something to their bodies. It’s all extremely convenient and a little out of left field. Maybe this is a case of deus ex machina, but it’s done extremely well. First of all, the aliens were established at the start. They’re the instigators of the whole plot, and they play a significant role throughout the proceedings. So they don’t just come out of nowhere at the end to save the day. Second, this ending is very satisfying. We get to marvel at Bud’s willingness to die a heroic death, but we also get to enjoy seeing him reunited with his wife, and see them get past their differences. Love conquers all! I would say it’s a deus ex machina in the same way as the ending of Beauty and the Beast is. In that movie, the Beast dies but is brought back to life right away because Belle breaks the spell that was cast on him at the start. This allows us to run the whole gamut of emotions from epic tragedy to soaring joy. When it’s used in an interesting way, this plot device is actually a great way to end a movie. The trouble with saying The Abyss is Cameron’s best film is that he has created a half-dozen of the best films ever made. What makes this movie so special? I’ll show you. I’ll compare The Abyss to Aliens, Terminator 2 and Titanic. I’ll skip Piranha 2 because I don’t count that as a true James Cameron film, The Terminator because its sequel improved upon every aspect of the original, and True Lies because it’s a fun action film, but it’s nowhere near Cameron’s best. Aliens is the best science fiction action movie, by far. Just compare it to Starship Troopers. However, there are some aspects of it that I have to admit keep it from being my favorite Cameron film. The dialogue between Ripley and Newt is a little stilted. I can see how hard Cameron is trying to write for a little child and to infuse her with both vulnerability and a hardened attitude on life, but Carrie Henn’s performance comes off a bit flat. The parts I found most believable are when she first opens up to Ripley. When asked where her parents and brother are, she angrily replies, “They’re dead! All right, can I go now?” Ripley apologizes and tries to calm her by pointing out that the soldiers are there to protect her, but she just coldly says, “It won’t make any difference.” Now that was a chilling exchange. However, the heartfelt exchanges between Ripley and Newt feel forced. The villain Carter Burke is pretty weak, and he’s easily thwarted in his attempt to profit off the aliens. He doesn’t have a very satisfying death, either. Cameron really came into his own when it comes to writing dialogue with The Abyss. Just about every line either moves the story forward and/or gives the audience intriguing insights into the characters. And the exchanges between Bud and Lindsey are heartfelt and totally believable. I completely buy that this is a couple that both hates and loves each other. And the villain is absolutely wonderful. He’s not some greedy businessman. He has complex motivations, he’s not some typical one-note monster whose only role is to create problems for others to solve. Plus, Alan Silvestri’s film score is even better than James Horner’s score. The music in Aliens had to be completed in a brutally short time frame, so Horner had to borrow liberally from his library, notably Star Trek II: The Wrath of Khan. While memorable, it has a been-there-done-that quality to it. Silvestri’s score, on the other hand, never calls back his iconic work on Back to the Future, though it does have a few moments during the action sequences that remind me of Predator. I think the biggest thing is that it has a more polished feel to it than the Aliens soundtrack. Aliens is an almost perfect movie, but the scope of its story and the depth of its characters can’t match The Abyss. As I said before, Terminator 2 takes everything good about the first Terminator film and does it many times better. The chase scenes, the relationships, the villain are all improved so much by the sequel that they make the ones in the first film look a little weak by comparison. However, the film does drag in the second act. From the escape from the mental asylum to the attack on Miles Dyson, nothing too interesting happens. There are several nice character developments, but it mostly feels like the movie is spinning its wheels and not getting anywhere. Plus, the time-travel paradox is impossible to ignore. Skynet wouldn’t exist if it hadn’t sent a Terminator back in time in the first place, so how was Skynet invented before it sent a Terminator back from the future? And John Connor couldn’t exist if Skynet hadn’t built a time machine to send a Terminator back in time, so how could he have been a threat to them in the first place if they had to send a Terminator back in time to kill his mother in order to allow him to be born? Wait, what? The Abyss also has a rather lengthy second act. But from the time the undersea oil rig Deep Core gets critically damaged to the moment the villain sets his plan into motion, there is a lot going on. First of all, the crew is struggling to stay alive, they’re dealing with paranoia and the unknown, and they get an unforgettable visit by an alien intruder. Every minute is riveting and absolutely essential to the whole experience. The Abyss also sidesteps any plot holes by offering a whole bunch of characters who react believably to extreme circumstances. Titanic is a good movie, but it’s too much of a copy of Somewhere in Time to really say it stands on its own as Cameron’s best film. I never believed that the characters in Titanic were from a different time period. Yes, they dressed the part, but their manner of speaking was way too contemporary, and it kept pulling me out of the story. Also, so many of them are busy making ironic statements about Pablo Picasso, Sigmund Freud and other famous figures that they didn’t have time to become fully developed characters I could feel invested in. They’re on an “unsinkable” ship headed for disaster, and they keep making overly confident statements that will be disproven in the future. I get it. It’s all extremely ironic. Move on, please. The love story in The Abyss is more believable than the one in Titanic. Jack and Rose barely knew each other for a few days before falling in love, but Bud and Lindsey have known each other for several years. They’ve had time to think about what their relationship really means to them and whether or not it should continue. Both movies show the two lovers struggling to survive as the water level rises, and they have one character die while professing their love for the other. But The Abyss pulled off those scenes much better. Leonardo DiCaprio and Kate Winslet hadn’t developed enough as actors to make those scenes work as well as they could have. Let the professionals show you how it’s done. I really raked James Cameron over the coals in my article How to Train Your Dragon vs. Avatar, pointing out all the problems in his newest film. However, I do love most of his films, and that’s why I was so hard on him. I expect greatness when I see his movies because he’s one of the best filmmakers of all time. So in a way, it’s a compliment to point out my disappointment in one of his films. Cameron used to be my favorite filmmaker until he decided to jettison his penchant for creating memorable characters, sharp dialogue, and amazing action sequences, and just combine a whole bunch of special effects with liberal propaganda and call it a movie. You broke my heart, Jim. But even a movie as mediocre (at best) as Avatar can’t diminish Cameron’s incredible accomplishments earlier in his career. I mean, the man is responsible for two of the greatest sequels ever made: Aliens and Terminator 2. He molded Ripley into the first believable female action hero. He practically made Arnold Schwarzenegger a household name (even though everyone had trouble spelling it, they could still recognize it when they saw it take up a quarter of a movie poster). And he always had an interesting story to tell. As far as I’m concerned, The Abyss is the film in which James Cameron reached the greatest heights of his storytelling ability. All images from The Abyss are the copyright of Twentieth Century Fox. This entry was posted in Random Stuff and tagged 1980s, abyss, action movies, alan silvestri, alien, america, avatar, back to the future, beauty and the beast, CGI, characters, cold war, conservatives, drama, dreamworks, ed harris, film score, films, history, how to train your dragon, humanity, james cameron, james horner, liberals, love, mary elizabeth mastrantonio, message movies, michael biehn, military, movie review, movies, music, navy, navy seals, pixar, politics, relationships, romance, science fiction, somewhere in time, soundtrack, soviet union, special effects, star trek, submarine, technology, terminator, titanic, tron, undersea, united states, war. Bookmark the permalink. Agreed… The Abyss is one of my favorite movies, and for many of the reasons you gave here, especially the plot unfolding so naturally and the characters reacting believably. Maybe one reason it is Cameron’s best and most original work is that deep sea exploration is an exotic realm that he actually knows about firsthand? The hazard of the falling crane is so beautifully simple that I suspect a writer without submarine experience might never imagine it. The battle between subs where they just ram into each other, or the effort to retrieve the ROV by simply grabbing a tether dangling from it—again, just simple undersea fundamentals being dramatized effectively. Various little details feel firsthand too, like Lindsey going through the rig turning valves, saying “Look at where this was set!” and then Bud turning them right back. Imagine if Alfonso Cuaron could have spent a few months on the International Space Station before writing ‘Gravity’, he might have invented a more elegant story full of intimate details and without resorting to impossibilities.